Dan was born in Buenos Aires, Argentina in 1960 and moved to Australia in 1975. Hence he is a native speaker of English and Spanish. He also speaks fluent Hebrew, Italian and Portuguese. After completing an Economics and Accounting degree in Melbourne University with a minor in Business Law, Dan traveled extensively overseas before becoming a CPA in Australia and worked in public practice for over 10 years in tax accounting and consulting for small to medium size businesses and individuals. 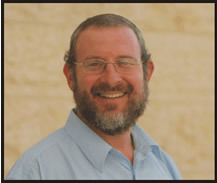 Dan and his family made aliyah in 1993 and Dan worked as an accountant in a well known firm in Jerusalem. He moved with his wife, five children and elderly mother to Ramat Beit Shemesh in 1998. He started a career in real estate 16 years ago, joining Pearl Skolnik Realty for the love of real estate in general as well as meeting new people and the mitzvah of ensuring a successful aliyah for new olim and helping Israelis who want to be part of this vibrant Torah community. In Pearl Skolnik's office, Dan was a broker as well as the sales manager for new projects and attended numerous housing shows in Europe and North America, thereby allowing him to fully understand the demands of North American and European Olim. He is very devoted to his work, applies a high ethical standard to his profession and attends regular seminars to update his knowledge in real estate issues.